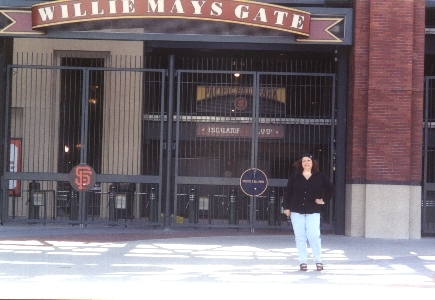 This is Willie Mays Gate. The main entrance to the park. That's my fiancée, Michelle, in front of the gate.